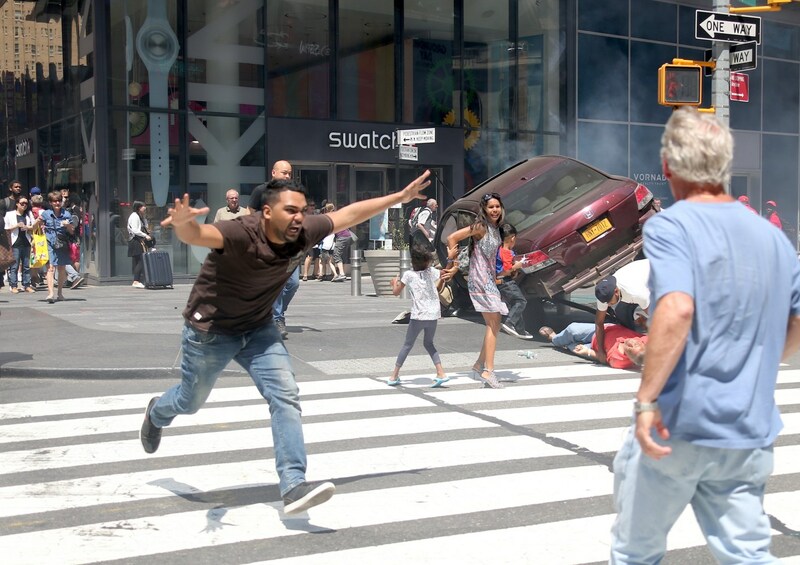 NBC News 18 May 2017 NEW YORK — A wrong-way driver plowed into pedestrians in the heart of Manhattan's bustling Times Square district minutes before noon Thursday, killing at least one person and injuring nearly two dozen others, city officials said. 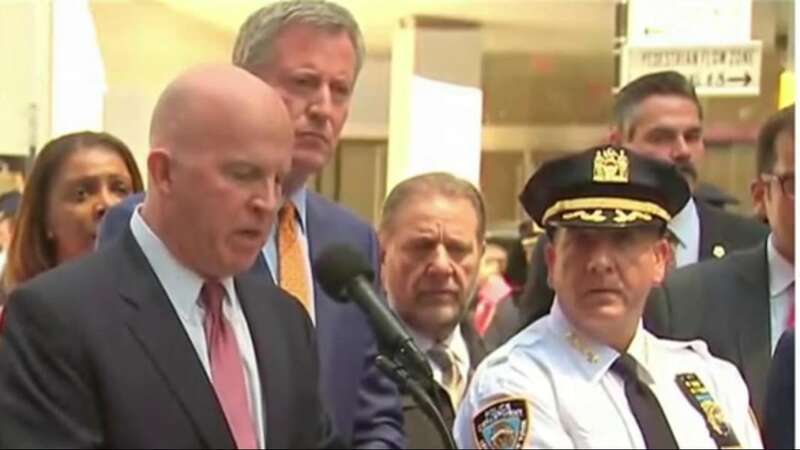 The high-speed 11:55 a.m. crash — which authorities initially said appeared accidental, and which is not believed related to international terrorism — left an 18-year-old woman dead at the scene and another 22 injured, New York City Mayor Bill de Blasio told reporters. The driver of the 2009 Honda Accord was in custody, police said. He was identified as Richard Rojas, a 26-year-old from the Bronx with a history of arrests for driving while intoxicated, as well as other infractions. Rojas was arrested for DWI in Queens in 2008 and earlier this month for menacing. Police did not immediately release the cause of the crash. Two law enforcement sources say Rojas claims he heard voices and investigators are looking into the possibility it was a deliberate act. "I was in shock, I was screaming," witness Kristen Boyce told NBC New York. "No one even saw it coming." "All of a sudden I heard this boom and a car is barreling down Seventh Avenue hitting people, just, 'Boom! Boom!' 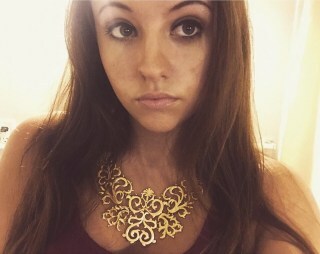 And everyone just starts running," she said. "We start running, we don't know if another one is going to come, we don't know what's happening, everyone is panicking." Police said an officer tackled Rojas at the scene after he climbed out of the car, which could be seen partially lifted off the ground. The suspect was being tested for possible drug or alcohol intoxication. Fire and emergency crews surrounded the chaotic crash site at the busy intersection of 42nd Street and 7th Avenue, which is typically swamped by tourists and office workers. The car was traveling in the wrong direction on the sidewalk for about three blocks before the crash occurred, police and witnesses said. The Honda first mounted the sidewalk at 7th Avenue and West 42nd Street, NYPD Commissioner James O'Neill said. It stopped when it struck a metal stanchion. 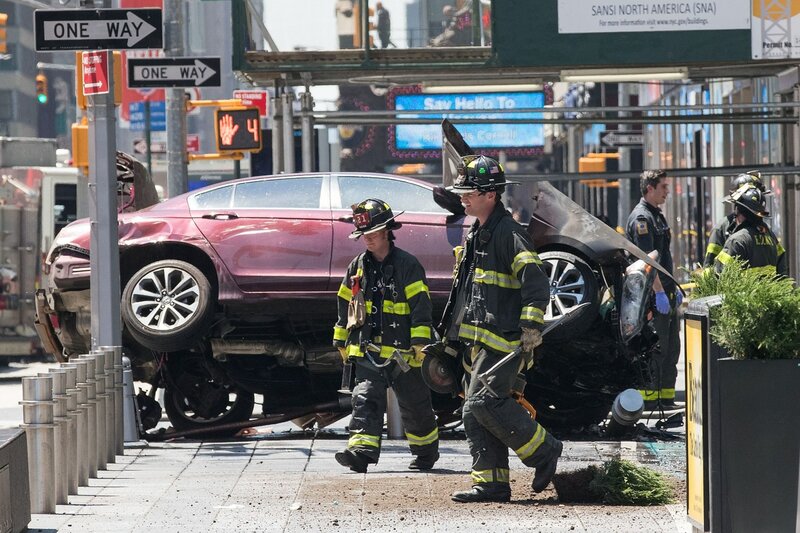 "The vehicle, occupied by a male driver, proceeded to drive at a high rate of speed along the sidewalk, from 42nd Street to 45th Street, striking a number of pedestrians along the way," O'Neill said. The person who was killed was identified by police as 18-year-old Alyssa Elsman of Portage, Michigan. The deceased victim's 13-year-old sister was among the injured and was taken to the hospital, police said. The driver "accelerated across at an angle, went up on the curb and hit that whole group of people waiting," witness Julie Fallo, 47, of New Jersey, told NBC News. Of the 22 injured, 17 were taken to area hospitals, with four of those suffering what were described as serious injuries, the Fire Department said. Five people who were hurt declined medical attention at the scene. A Homeland Security official in Washington also told NBC News that based on the preliminary information from authorities in New York this "appears to be an accident." "It's a tough day for New York City, but as usual, the people in New York City will stand firm and be resilient," de Blasio told reporters. New York Gov. Andrew Cuomo was briefed at the scene. "Today's events at Times Square were nothing short of horrific," he said in a statement. White House Press Secretary Sean Spicer tweeted that President Donald Trump was "made aware of the situation." Rojas was in the Navy, the military confirmed. He enlisted in 2011, and was his service ended in 2014. A law enforcement source said he was arrested in Florida on a driving under the influence charges, and was dishonorably discharged from the Navy. Reports of the confusion and pandemonium initially raised fears of terrorism. Federal officials have been warning truck owners and truck rental agencies in the U.S. to be "vigilant" about an increasing frequency of terrorist-related "ramming attacks," NBC News reported earlier this month. The frequency of such incidents appears to coincide with an ISIS leader telling followers in 2014 to use whatever weapons or tools, including vehicles, they have at their disposal for an attack. The federal report found that at least 173 people have been killed and more than 700 wounded in 17 ramming attacks around the world. Those include incidents in Nice, France, where dozens were killed last July, and in Berlin, where a dozen people were killed in December.